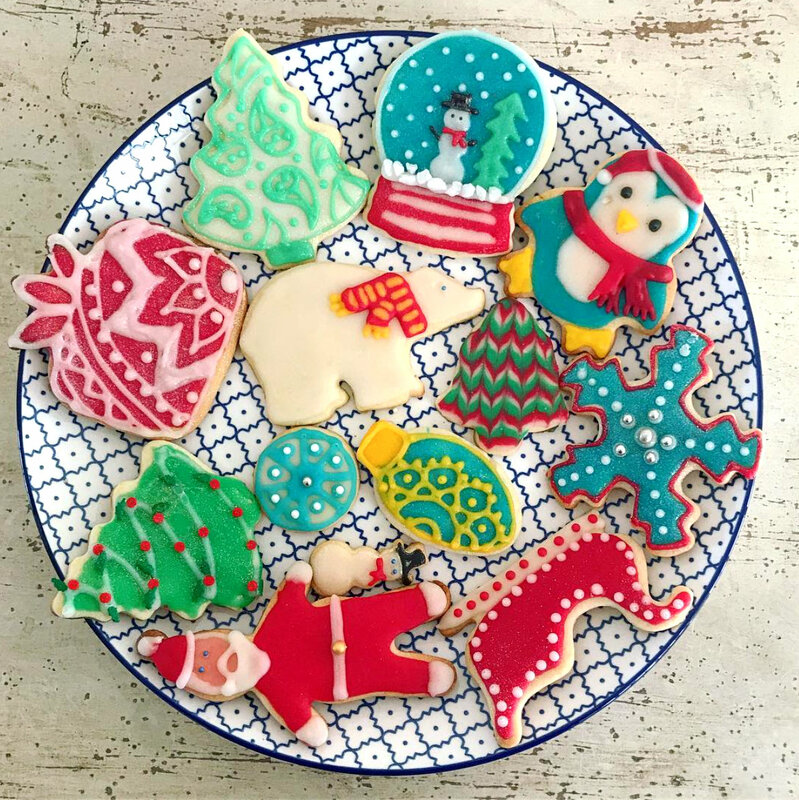 After you’ve created the perfect sugar cookies (see this post!) and added the ‘base’ icing, it’s time to DECORATE! 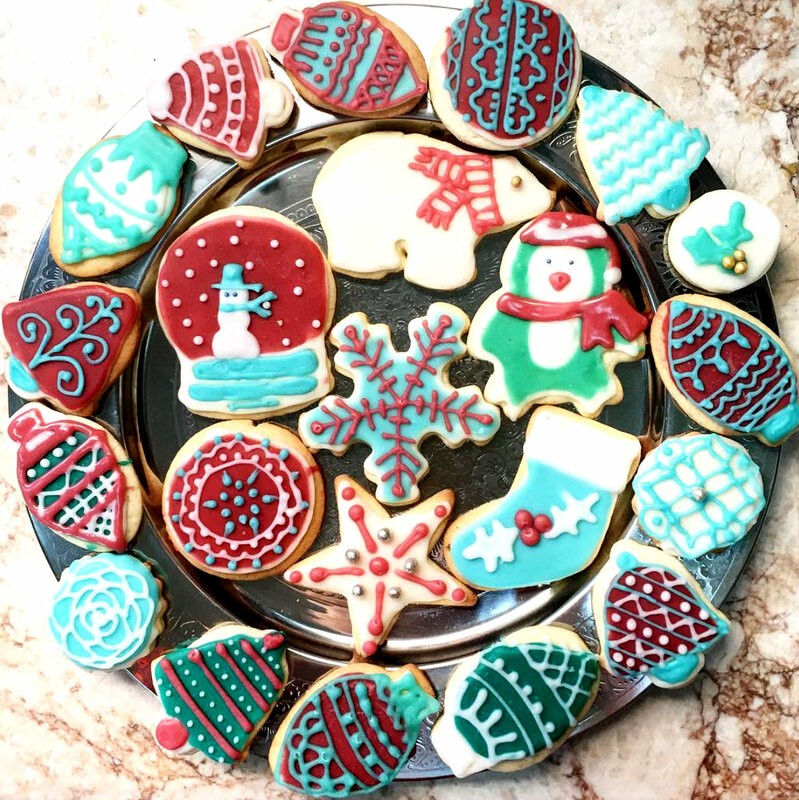 Because I know first hand that making sugar cookies look beautiful and festive is harder than it looks, I’ve recruited Jordan, the sugar cookie master, to share all her pro sugar cookie decorating tips. Really, you have already finished about 80% of the work already. 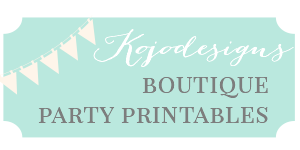 Less really is more in decorating and it doesn’t have to be overcomplicated to look amazing! 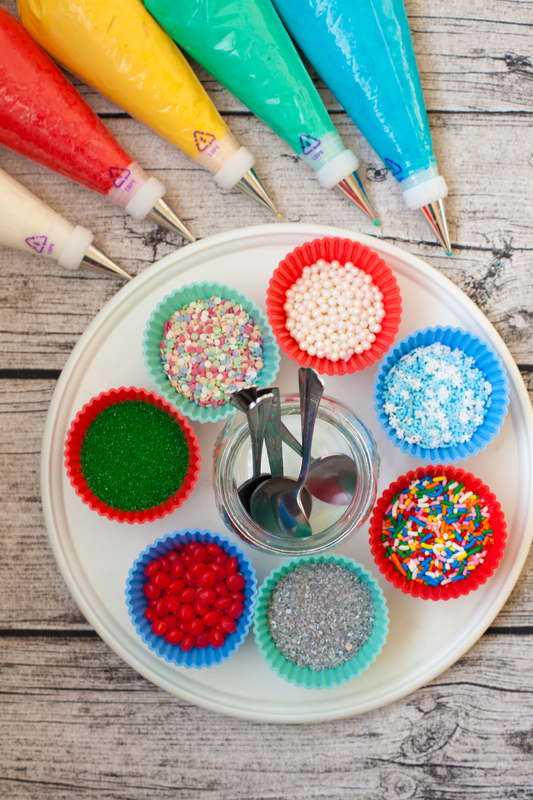 Simple dots and lines go a long way in sugar cookie decorating. 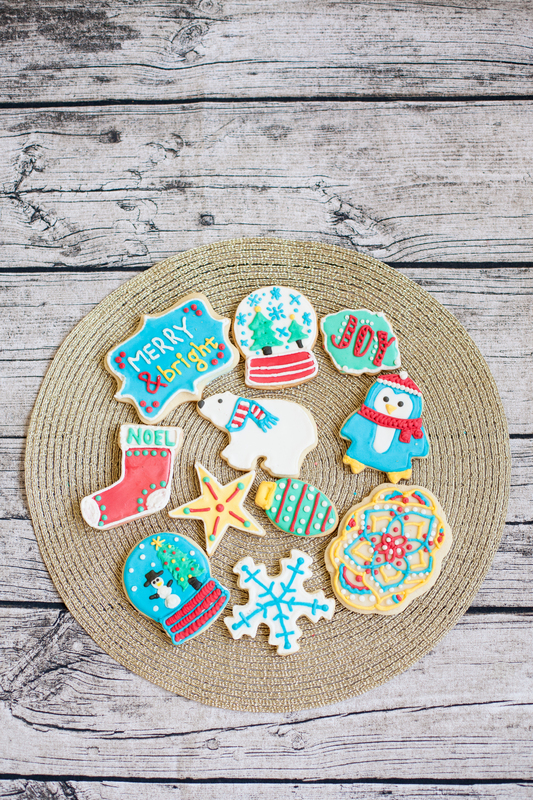 It seems so simple, but these are my go-to’s for cute sugar cookies. Noel, Joy, Hope, Merry or any lyrics from Christmas carols (Oh Holy Night, Joy to the World ect) all work well. Play with different doodles and henna mandalas. Its not as complicated as it looks! To start, make a dot in the center (or on one corner) and add symmetrical dots and lines moving outwards. Let your cookie cutter shape guide your decorating- animal shapes look adorable with a simple face and scarf, a snow globe only needs a tree or snowman and a couple snow flakes (dots) to look amazing. 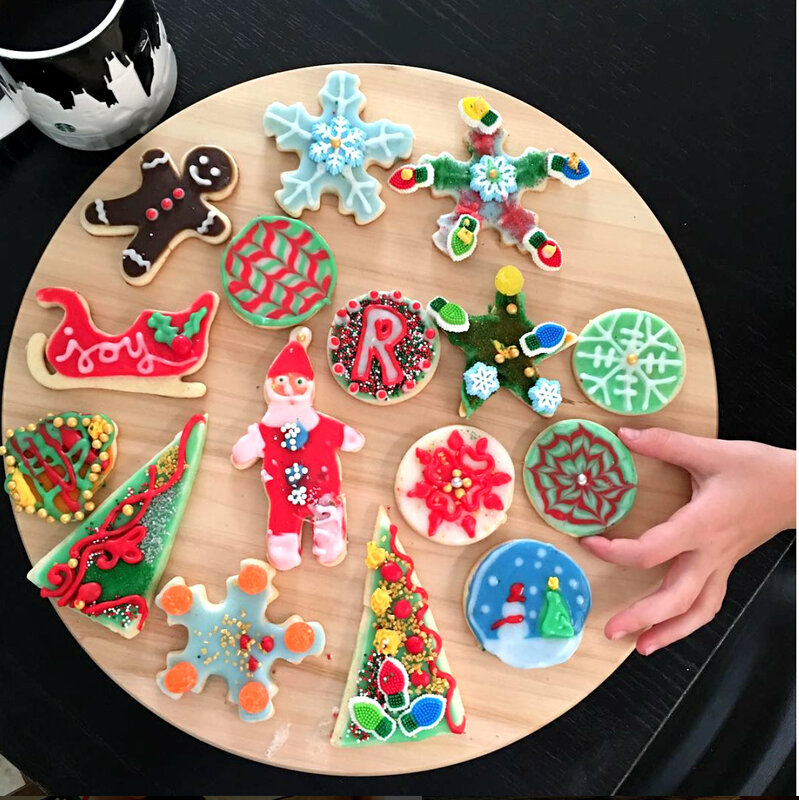 This one is hard for me, but my girls have such fun sugar cookie decorating ideas (even if they tend towards “more is more” in cookie decorating philosophy and I firmly do not). 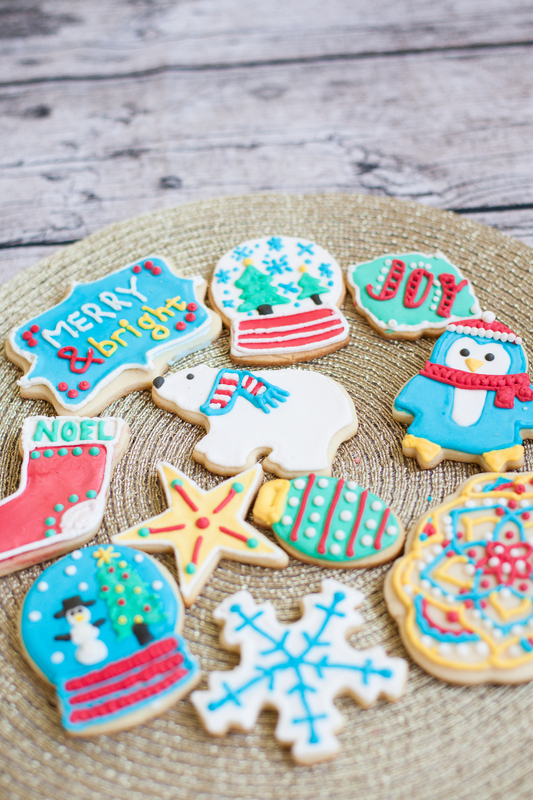 We love decorating cookies as a Christmas tradition! 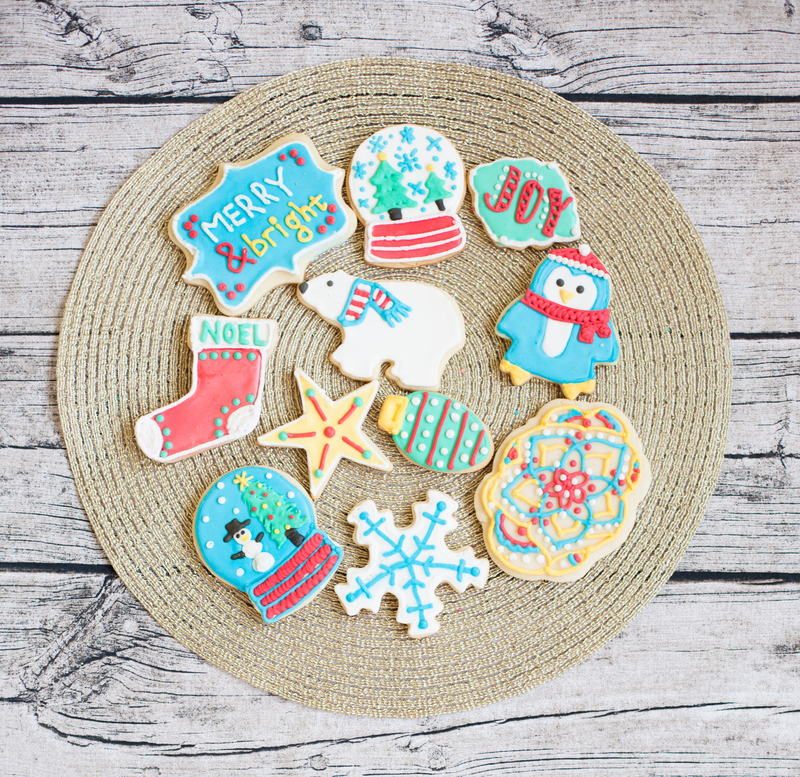 Happy sugar cookie decorating, friends!